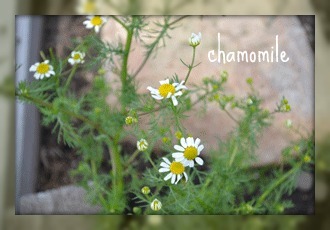 European herbalists rave about the benefits chamomile to your skin. Washing your face with chamomile tea several times a week with give your skin a soft, healthy glow. It's even said to help treat skin conditions such as, inflammation, scaliness and even wrinkles! In fact, a European company makes a wonderful line of products called CamoCare but making your own tea is simple. To make the tea bring 2 cups water to a boil. Remove from heat and add 2 teapoons of dried chamomile flowers. Cover and let steep for 45 minutes. Strain and use while it's still lukewarm. This same tea makes a great rinse for hair also. It will bring out blonde highlights and make your hair shinier and more managable. I'm amazed by all this gentle little flower can do! Don't forget to make some extra tea to sip on to help you relax. While your at it, make some for the kids too!